Aussie star Nicole Kidman is now married to country singer Keith Urban. Nicole Kidman who married Tom Cruise in 1990 revealed in an essay to New York Magazine’s latest issue on women and power how it felt exactaly marrying Mission Impossible star at the very young age of 22. For the very first time Nicole revealed inside details about her ex marriage to former husband Tom Cruise. Nicole Kidman admitted that though she married Tom Cruise of course because she loved him, but it also provided her “protection” from sexual harassment in Hollywood. 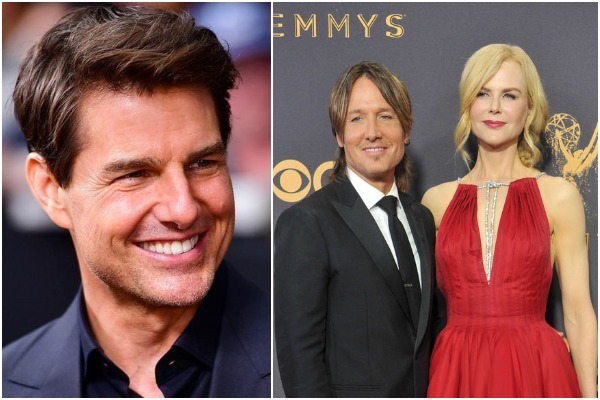 “Being married to Tom Cruise at 22 is something I’m always reluctant to talk about, because I’m married now to the man who is my great love [Keith Urban], and it almost feels disrespectful,” the 51-year-old said. But it doesn’t mean Nicole Kidman don’t have own #MeToo stories. “Of course I’ve had #MeToo moments – since I was little! But do I want to expose them in an article? No. Do they come out in my work? Absolutely,” she added. Nicole and Craig were the IT couple of ’90s. The couple together adopted two children, Isabella, now 25, and son Connor, now 23. After splitting in 2001, Nicole Kidman married country singer Keith Urban and have got two daughters together: Sunday, 10, and Faith, seven.